Brittany received her undergraduate degree from the University of California Los Angeles in 2008, graduating on the Dean's Honor List with a double major in political science and history. 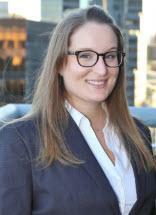 During her college years, her internship at a consumer law firm led to a full-time position upon graduation and solidified her desire to make a career of advocating for individuals. Brittany received her J.D. from the University of California, Hastings College of the Law in 2012. While in law school, she was a member of the Hastings Race and Poverty Law Journal and led multiple student organizations focused on giving back to the community. Brittany interned at Public Counsel, the largest pro-bono law firm in the country, tackling the issues of homelessness in the Los Angeles area. She also devoted time to the Legal Aid Foundation of Los Angeles and worked to increase public access to free and low-cost legal services. In 2011, Brittany began as a law clerk at the Law Office of Scott Righthand, P.C. and was hired as an associate upon passing the bar in 2012. In addition to representing Plaintiffs in litigation, Brittany continues her commitment to public service as a mentor to high school students in the San Francisco Bay Area. Brittany is a San Francisco Bay Area native who travels to Europe on a regular basis to visit her family in Kent, England. She has studied language in Germany, law in Italy, and performed choral music in China. In her spare time she enjoys playing soccer, practicing Ansura yoga, and cooking recipes inspired by her travels for her friends and family.